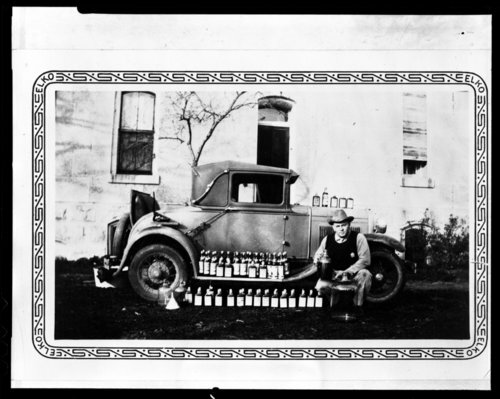 These four black and white photographs show bottles of confiscated liquor placed on the hood and running board of a car in Cottonwood Falls, Kansas. In two of the images gentlemen wearing badges can be seen standing beside the liquor. These images are similar to ones that are associated with item number 226331 on Kansas Memory.